MIKE JUST played baseball at all levels, from Little League through high school, college and the pros. At Liberty University he was All-Conference, hitting .379 and establishing the fielding record for assists in a single season. He played at the professional level in the Frontier and Northern Leagues, where he led his teams in batting, steals, and doubles. 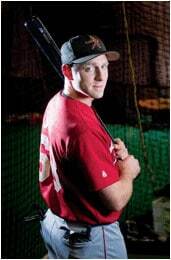 He now runs the Just Hits Professional Baseball and Softball Instruction Academy in Westwood, New Jersey.